Rickson Gracie rarely shows BJJ techniques on film so it’s a refreshing change to see a video of him demonstrating a technique. In Rickson’s first ever official Jiu-Jitsu instructional, he showed the most basic guard pass in Jiu-Jitsu, the arm in stack pass. Now, many people, usually beginners or blue belts doubt this technique as they are quick to say that this pass exposes the passer to a triangle choke since one arm is in and one arm is out. They probably have never felt this pass done by someone that masters it and knows exactly how to put their body so that the triangle is impossible to do. The passer is working the pass BEFORE that the legs can be closed for a triangle. It’s all about timing. 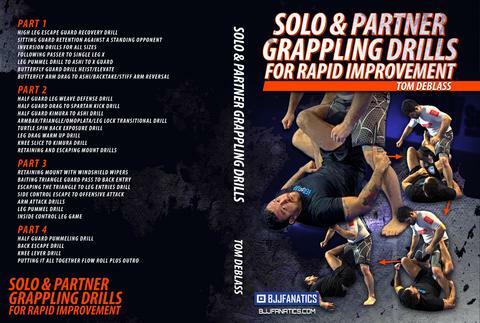 Most grapplers that go for this pass, actually bait the triangle by putting their arm inside the opponent’s legs. Next thing you know, your guard is passed or in some cases, you are being choked. There is a famous story of Rickson passing the guards of several black belts using only this pass during one of his seminars. The post Rickson Gracie Shows Arm-in Stack Pass That Confuses Newbies appeared first on Bjj Eastern Europe.